Can you confirm these amateur observations of Lycophidion multimaculatum? Auerbach, R.D. 1987. The Amphibians and Reptiles of Botswana. Mokwepa Consultants, Botswana, 295 pp. Broadley, D.G. 1996. A revision of the genus Lycophidion Fitzinger (Serpentes: Colubridae) in Africa south of the equator. Syntarsus 3: 1-33. Chirio, L. & Lebreton, M. 2007. 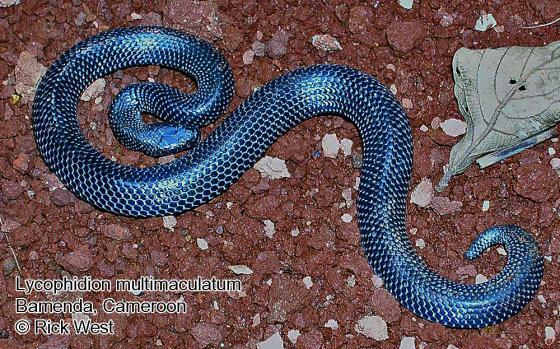 Atlas des reptiles du Cameroun. MNHN, IRD, Paris 688 pp. without field 'search_param'. Field 'search_param' is used for browsing search result.